If you run a small business, you already know two things about change. One, it’s inevitable. And two, it’s hard. But when you consider why change is so hard, that makes sense. As a recent article in Forbes pointed out, the default human response to change is fear. In a more primitive time, change often meant danger. Our ancestors survived because they feared change. While that’s fascinating in its own right, it’s also frustrating. If you’re a business owner and you’re ready to upgrade your office technology, you have to also be ready to deal with how your staff will handle change. It’s not as simple as just saying, “We’re using these applications now.” Frankly, that never works. No, if you want to lead your company through a change in office technology, you need to be prepared. But why change anything? If the tools you’re using now are working, why not just keep using them? Because the way we do business is changing. It’s hardly a secret that cloud adoption is steadily growing. Gartner predicts that we’re just a few years away from the day when the vast majority of businesses will rely on cloud services of some kind. Of course, that leads us back to the problem we started with. If it’s in your best interest to consider upgrading your current office technology to cloud-based solutions—and it is—then how do you go about doing that successfully? At ISG, we’ve gone to great pains to make it as easy as possible to shift your office technology to the cloud. Not only do we take care of all the technological legwork, but we’ll even help your employees acclimate, too. All of this is possible with our Modern Office Foundation bundle. Here’s how it works. Our Modern Office bundle comes with the very best office technology tools available. At the top of that list is Microsoft Office 365. Office 365 is the premier productivity suite because it’s a powerful, robust tool that includes everything your business needs to stay on top of your projects. There’s cloud-based email, standard applications like Word, Excel and PowerPoint, as well as top communication and collaboration solutions like Teams, Sharepoint and OneNote. And you’ll get it all with the Modern Office Foundation bundle. No matter how good the tools, if transitioning from your current solutions to new office technology is rough, your employees aren’t likely to see the value. That’s why working with a skilled partner like ISG Technology is so important. We’ll take care of your implementation, allowing for a hassle-free adoption period. Trust us—you’ll be glad you didn’t tackle this on your own. A lot of our competitors offer some kind of migration service. That’s not terribly unique. But what really sets us apart is our employee education and support. We offer monthly Innovation Training sessions to ensure your staff gets the most possible value out of your office technology tools. In addition to that, our help desk support is second to none. It doesn’t matter if one of your employees is dealing with something as simple as a lost password or something more complex, we’ll be there. And because our approach is both proactive (through training) and reactive (through support), you’ll always be covered. Office technology is changing. While it can be tough to keep up, ISG’s Modern Office Foundation bundle makes it a lot easier. If you’d like more information about our Modern Office Foundation bundle, feel free to contact us today. We’ll be happy to show you how we can help upgrade your office technology without any hangups. Microsoft’s Office 365 has made a huge splash within business IT. In fact, a study from security firm Bitglass found the service to hold 25.2 percent of the enterprise market in 2015, which was a 300 percent increase over the previous year. This even beat out Google Apps, hoisting Office 365 above the competition and showing just how valuable this solution is. That said, many organizations are hesitant to make the switch to cloud-based platforms for a number of reasons. To that end, we’d like to dispel some rumors about Office 365 and get to the heart of what makes this service great. The cloud’s many advantages simply cannot be ignored at this point. The technology’s ability to increase innovation and flexibility while also keeping costs low is an incredibly central part of its selling point. In fact, Matthew McClelland of Blue Cross and Blue Shield of North Carolina has stated that these exact reasons were the drivers behind his organization’s switch to Office 365. Of course, health care isn’t the only sector seeing the benefits of cloud-based solutions like Office 365. Fortune quoted Curt Kolcun of Microsoft as saying that the number of Microsoft Cloud for Government users is around 5.2 million, which includes Office 365 as well as other cloud services. Of course, many sectors have more to worry about than cost and flexibility. Regulatory standards, such as those imposed by the Health Insurance Portability and Accountability Act, come down hard on institutions that can’t follow the rules. In fact, a violation of HIPAA carries a maximum annual penalty of $1.5 million. 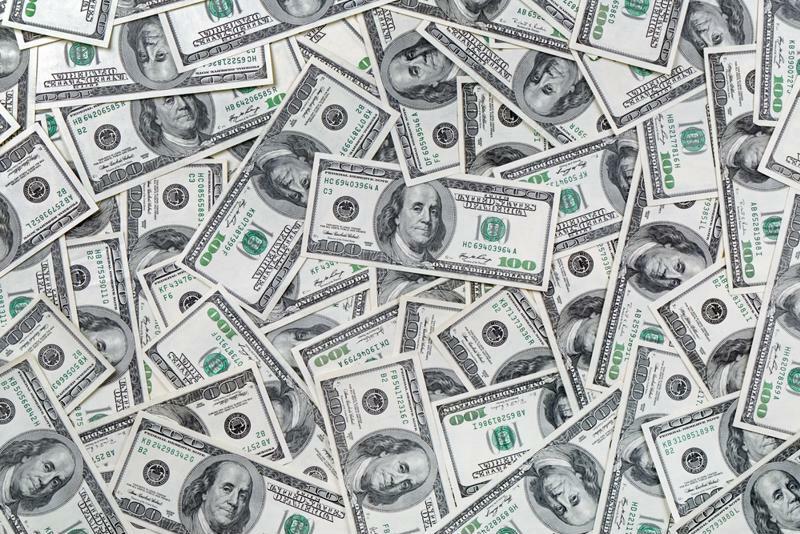 Violating HIPAA could result in massive fines. Again, this is where Office 365 shines. McClelland also reported that HIPAA used to be a “hurdle” for medical cloud migrations. However, Office 365 is now HIPAA-compliant, ensuring McClelland’s organization stays on the right side of the law. While Office 365 clearly has many benefits for all kinds of institutions, making the transition can sometimes be difficult. To that end, it makes sense to partner with an experienced company that knows all about what a move to the cloud means for an organization. ISG Technology is more than happy to be that partner for you. 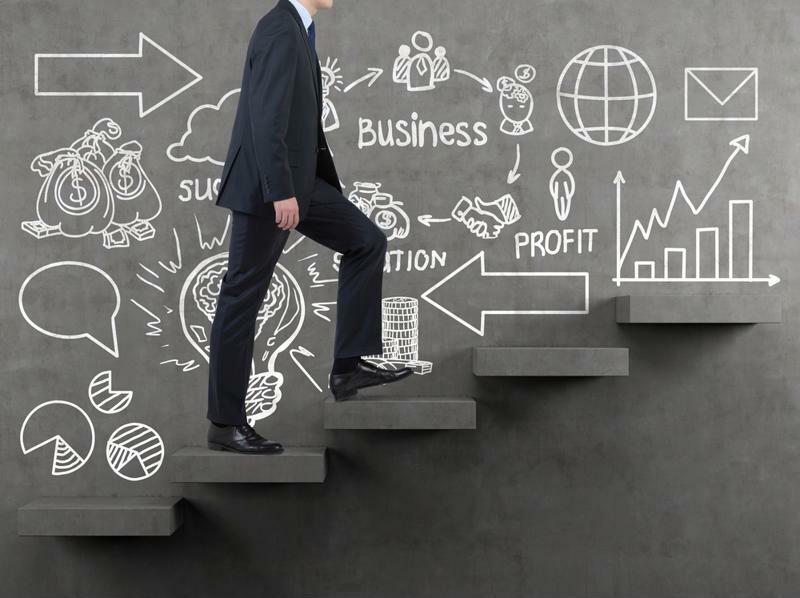 Our trained professionals have the experience necessary to help you navigate the tricky waters of transition, both in terms of overall cost and regulatory standards. We know how important this move is to you, and we’re here to help you every step of the way. 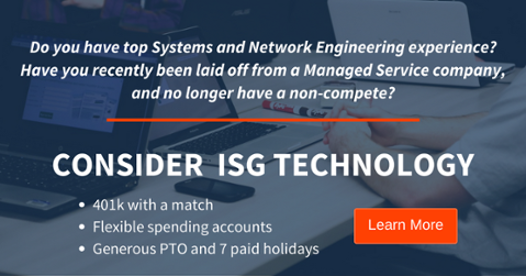 Contact an ISG Technology representative today and find out what your organization can get out of Office 365. The culture you have created at your business should be something you are constantly evaluating. Not only does it affect employee retention and recruiting, it also has major repercussions when attempting to implement a hybrid IT solution. Blending your own IT team’s services with that of an outside provider is never a completely smooth process, but having a poor internal culture can make it even bumpier than it has to be. A good place to start with a hybrid IT integration is to make sure everyone understands that your internal IT department is not at fault here. Many employees jump to the conclusion that contracting a managed service provider to handle certain functions is the first step toward fully outsourcing IT. As an administrator, it is your job to quell these notions. With the massive increase in technological reliance in recent years, IT departments have become overwhelmed. In fact, Robert Half Technology found in a study that CIOs believed their tech teams to be understaffed by about 42 percent. Explaining that this integration of hybrid IT is to allow your internal department to focus on future goals rather than putting out daily fires can help quell any panic from employees. Another reason employees are hesitant about hybrid IT is the fact that they probably have gotten used to the old way of doing things. In fact, getting employees out of a rut is actually one of the best benefits of this service. Shaking things up from time to time helps fight complacency, but it has to come from the top of your organization. This means getting all executives on board and actively engaged in this transition. If not, you could become part of the roughly 90 percent of respondents in a recent Hitachi Consulting report that stated legacy systems were getting in the way of innovation and growth. Innovation should be a major part of any company’s business model, and hybrid IT can help you work toward it. Hybrid IT can help with innovation. Finally, and perhaps most importantly, administrators need to keep employees as informed as possible about this transition. This starts by being specific about what operations will have to be moved when discussing the integration with your current IT team. Just saying “we need to move to the cloud” is not good enough. On top of that, you’re going to need to be extremely transparent with the rest of your employees. Backlash from workers is very common in these situations, and the only way to minimize this is to make sure everyone knows what’s going on and why these operations are changing. Hybrid IT is certainly a deviation from the norm, but that’s the whole point. Change is a good thing if handled correctly, so make sure you choose a solid managed service provider to get the job done right. ISG Technology’s years of experience integrating hybrid IT can help make sure your transition is as pain free as possible. https://www.isgtech.com/wp-content/uploads/2019/04/desktop-paper-laptop-hand.jpg 266 702 multipage /wp-content/uploads/2018/02/isg-logo.png multipage2016-05-10 14:25:292016-05-10 14:25:29How does culture affect hybrid IT integration? Getting a hybrid cloud right starts in the data center. It also means knowing potential headaches related to multi-vendor management. What are the advantages of hybrid cloud over pure public cloud?